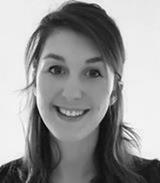 Justine Renier is a Master 2 student in SKEMA Business School pursuing the specialization “Project Program Management and Business Development. She studied in ESDHEM which is bachelor degree in economy and a preparation for Business School examination before integrating the Programme Grande Ecole in SKEMA. She had some professional experiences in the procurement, accountability and project management areas. She lives in France, and can be contacted at [email protected] or www.linkedin.com/in/justine-rénier.